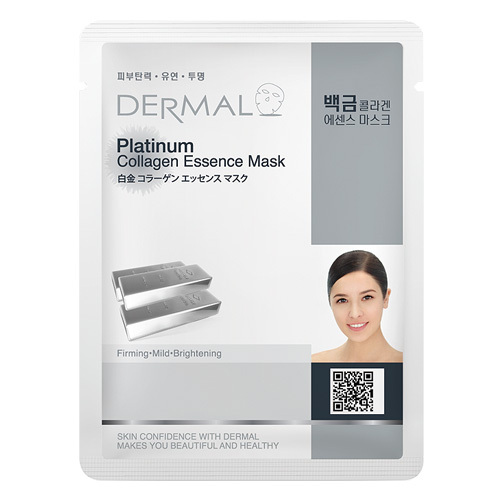 Dermal Platinum Collagen Essence Mask contains Colloidal Platinum increases blood circulation, gently exfoliate the skin make it smoother & blemishes free. Dermal Platinum Mask stimulates the production of natural collagen and elastin. Ingredients: Water, Glycerin, Butylene Glycol, Hydrolyzed Collagen, Aloe Barbadensis Leaf Juice, Portulaca Oleracea Extract, Colloidal Platinum, Beta-Glucan, Panthenol, Tocopheryl Acetate, Polysorbate 80, Disodium EDTA, Xanthan Gum, Methylparaben, Fragrance. 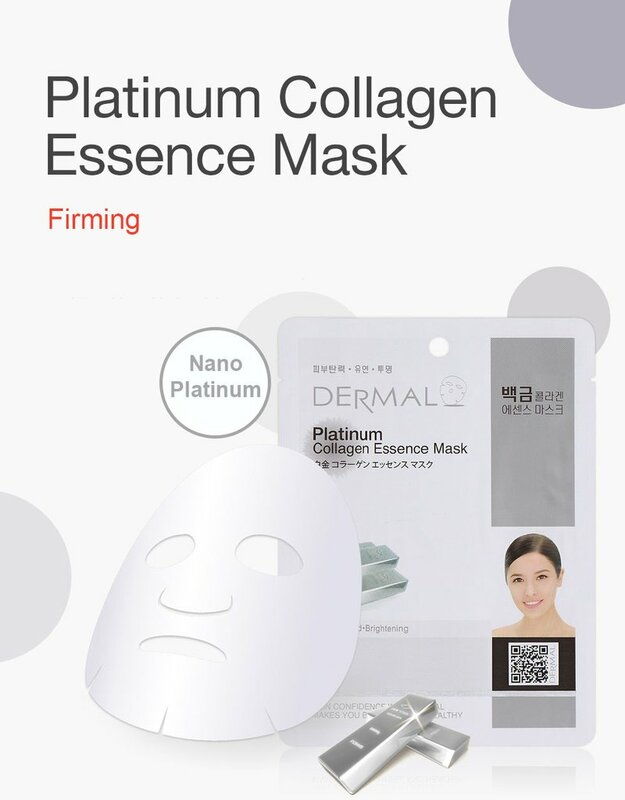 Dermal Platinum Collagen Essence Mask contains Colloidal Platinum increases blood circulation, gently exfoliate the skin make it smoother & blemishes free. Dermal Platinum Mask stimulates the production of natural collagen and elastin. Essential nutrients & antioxidants present in the mask protect the skin from the harmful effects of the free radicals and reverse the appearance of wrinkles and dark spots lighten the skin tone keep it moist & bright. 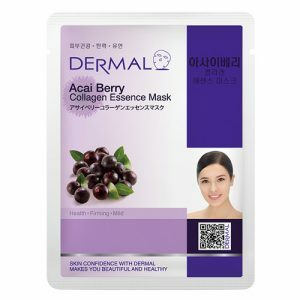 Dermal Platinum Collagen Essence Mask is a pure essence facial mask that is specially formulated with highly concentrated active ingredients that penetrate the skin effectively to deliver essential nutrients. Have a bright, soft, and rejuvenated skin in 15 minutes. Reduce Fine lines, wrinkles & age spots. Hydrolyzed Collagen & Vitamins provides your tired skin nutrition and keep your skin healthy and bright whole day. Dermal masks moisturize skin and maintain skin elasticity. It leaves skin feeling soft, refreshed and perfectly hydrated. It helps to revitalize and soothe the skin with a mild astringent effect of aloe extracts. Easy to use sheet mask. Free from Mineral Oils, Sulphates, PEG & PG, Hypoallergenic. Recommended for all skin type. It Can Use 3 times a week for good results. STEP 2-Take out the mask sheet from the pack and unfold it. STEP 4-Leave on for 15~20 minutes. STEP 5-Peel off the mask sheet and tap the remaining collagen essence over your face until it completely absorbs to your skin. You can USE AS COLD by keeping in the refrigerator or USE AS WARM by soaking about 2~3 minutes in warm water. You can feel the difference after every application. After application, avoid face wash, let essence should remain on skin for a long time for better results. Dermal masks also contain Hydrolyzed Collagen, Vitamin E, C which keeps your tired skin relaxed, healthy, moistened and elastic. I just love these sheet masks. Good amount of serum plus soft, supple skin. It definitely hydrated my skin and provided a healthy glow to it. Very nourishing and soothing. I just bought from dermal korea and tried. it is such a perfect glowing face mask. this mask Brightness the face instalty n makes the skin feel soo gud n nice…..
love it so much it makes my skin so smooth and fresh all day long after one use. Provide deep moisturization to my skin. Love it! his is really surprising to me. It brightens my skin instantly. 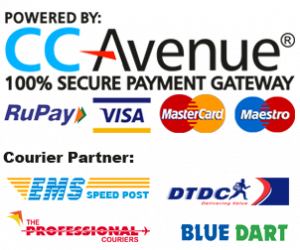 A very good product. This face mask gives me a natural glow in the morning when I used it in the night time. it gives instant glow and rejuvenates the skin. 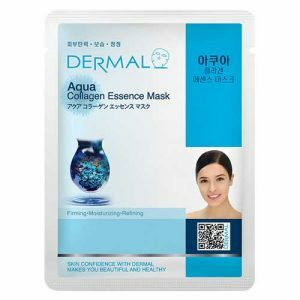 Loving the dermal korea sheet mask. My skin is so good after using this sheet mask. And I have a good skin texture and brighter skin now. I am really proud of it. 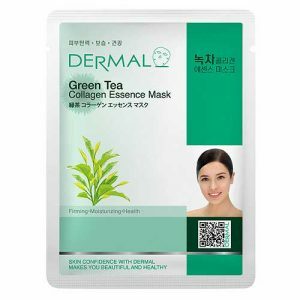 I always inspire my friends to buy this sheet mask from dermal korea. I’ve got perfect glow and brightness, skin feels so smooth and even. Amazing facemask gives healthy and gorgeous skin. Love it. 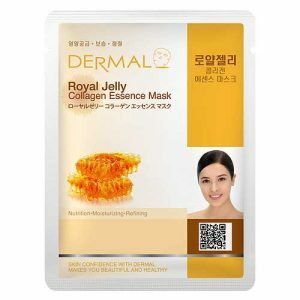 Dermal Royal Jelly Collagen Essence Mask contains Royal Jelly which is a honey bee secretion that is used to nourish larvae. Royal Jelly contains vitamins, amino acids, fatty acids, minerals, enzymes & natural antibiotic properties. It keeps skin Moist, tightens & healthy. Dermal Co-Enzyme Q10 Collagen Essence Mask increases the collagen production in the skin which helps to retain youth. Dermal Co-Enzyme Q10 Mask protects the skin from environmental damage & stress keeps it healthy, moist & soft. Ingredients: Water, Glycerin, Butylene Glycol, Hydrolyzed Collagen, Aloe Barbadensis Leaf Juice, Portulaca Oleracea Extract,Ubiquinone, Beta-Glucan, Panthenol, Tocopheryl Acetate, Polysorbate 80, Disodium EDTA, Xanthan Gum,Methylparaben, Fragrance. 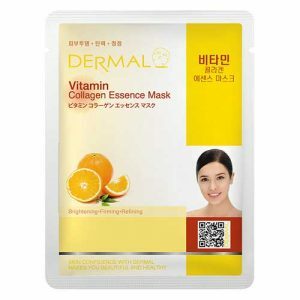 Dermal Vitamin Collagen Essence Mask is an infusion of all skin essential vitamins which gives new life to the skin. Dermal Vitamin Collagen Essence Mask lighten & tightens skin tone keep it bright always & reduce the sign of ageing- fine lines, wrinkles, age spots, pigmentation, melasma, freckles. 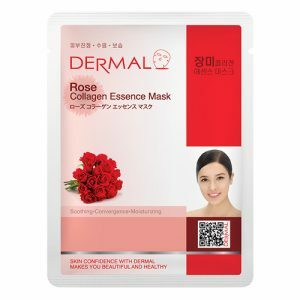 Dermal Rose Collagen Essence Mask contains Rose petals extract which works as a natural mild cleanser, toner & moisturizer with anti-inflammatory properties. Dermal Rose Mask reduce stress keep skin clean & glowing. 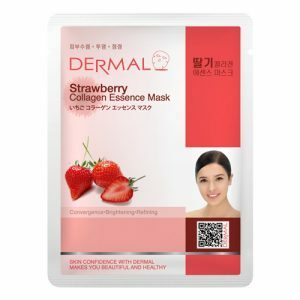 Dermal Strawberry Collagen Essence Mask contains Strawberry extract enriched with organic amino acids, Vitamins, antioxidants & several skin lightening components. Dermal Strawberry mask controls excessive oil secretion & softens corneous part of skin making it softer and bright. Dermal Seaweed Collagen Essence Mask offers superior hydration as well as anti-aging and anti-inflammatory benefits. It keeps Skin Healthy, brighten & Soft.